The charges against the eleven will not be dropped. THE WITS vice chancellor’s office has decided that charges against 11 students, including nine SRC members, will not be dropped. 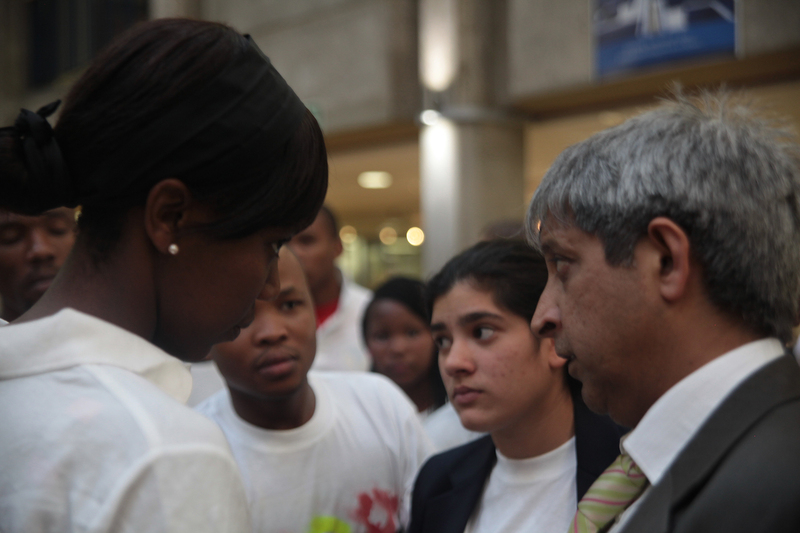 Incoming vice chancellor, Adam Habib, made the statement after the SRC spent the past week promoting their “Right2Protest” campaign in various national media platforms. According to Habib, the case will be postponed from May13 to July 16 at the request of the charged students so they can concentrate on their exams. The students were charged for a possible contravention of the university’s codes of conduct after they disrupted a concert by an Israeli pianist during a protest for Israel Apartheid Week in March. SRC president Sibulele Mgudlwa said they were disappointed the “bogus” charges against them were not dropped but were still prepared to fight them. Mgudlwa added that the Right2Protest campaign will not be cancelled despite Habib’s declaration that the charges would stand. “Last year the students defended the workers. This year the workers will defend the students,” said WWSC representative, Matthew Bodiba. Habib said that the rest of the decision making would happen in the course of the disciplinary process that has been established.